A dog bite or animal attack can lead to permanent disfigurement and expensive medical treatment to address injuries and infections. In order to prevent these injuries, pet owners are held liable for their pet’s behavior and are supposed to take the necessary precautions to keep others safe. If you or a loved one has been attacked by a dog, it is important to talk with a knowledgeable personal injury attorney immediately after receiving proper medical care. The trauma involved can also be emotional and must not be overlooked. We will fight for you, handling all aspects of your case and allowing you or your loved ones time to heal. 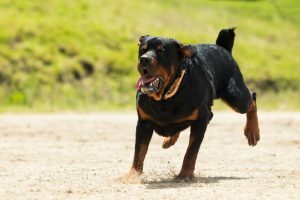 If you or a loved one was bitten or attacked by a dog in the state of California, the state’s laws are in your favor. California is known as a strict liability state, which means that a dog owner is strictly liable for his or her dog’s vicious behavior even if the dog has never displayed aggression or violent tendencies before. Many times, attacks are covered in the dog owner’s insurance policy, which should make representing your case that much easier. Those who have been bitten are not the only victims of dog and animal attacks. Parents of children who have witnessed such an attack may also have suffered emotional trauma that requires treatment. Call our firm immediately so that you can begin the process of recovery with the proper medical treatment and compensation that you deserve. The Law Office of Cary S. Macy has represented countless animal attack and dog bite victims in Huntington Beach and throughout Orange County. If you or your child has suffered an injury due to a negligent pet owner, contact our office today at (714) 813-5433 to schedule a free consultation with an accomplished personal injury attorney. We handle all claims related to personal injury. Please fill out our contact form and we will get in touch with you as soon as possible to discuss your case. The Law Office of Cary S. Macy represents personal injury clients in Huntington Beach and throughout Orange County, California.